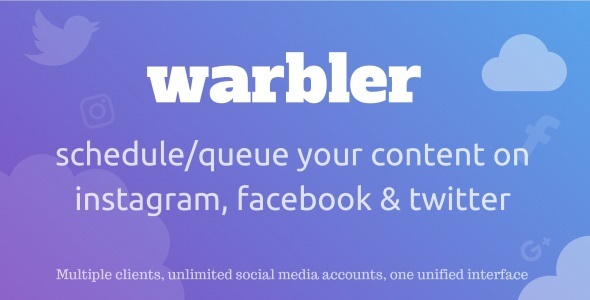 Warbler â€“ A tiny dashboard to help manage your social media content. Warbler helps you schedule content, queue content, help organize your social media accounts and save time. Whether youâ€™re a social media agency, professional or freelancer â€“ your time matters â€“ especially when youâ€™re managing multiple clients.